We're more likely to associate bullying with schoolyards, but it's not mere child's play. Bullying "happens almost as frequently for adults in the workplace,” said Deborah Wilson Gadsden, training specialist with Family Design Resources. Workplace bullying affects some 65 million Americans, according to the Workplace Bullying Institute. Gadsden (above, left) appeared on a recent segment of "Comcast Newsmakers" to discuss anti-bullying efforts with host Jill Horner. --The victim feels powerless to stop the unwanted behavior. What the victim should do depends on who the bully is. Sixty percent of workplace bullies are bosses, so that might not be a place to turn for help. But you might be able to talk to colleagues who are aware of the bullying or maybe experienced workplace bullying themselves. Gadsden noted that Family Design Resources can help organizations to mitigate instances of workplace (and school) bullying, and to develop policies that let employees know that bullying will not be tolerated. 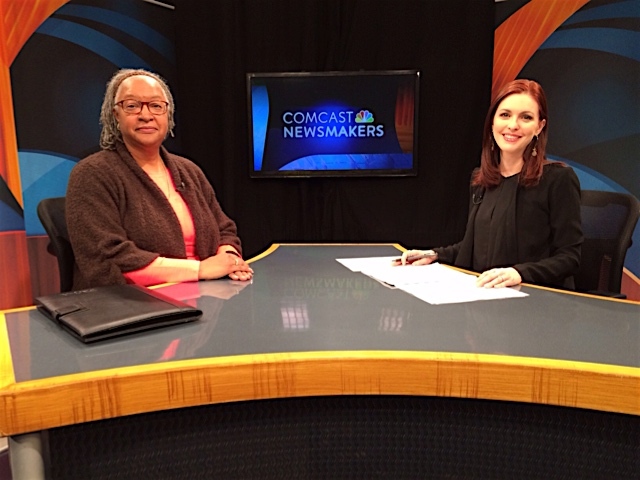 To view the complete "Comcast Newsmakers" interview, click here.